CLOSING OUR LARGEST CAMPAIGN YET! (CALIFORNIA, FL, NYC) STARTING MAY 2019! SIGN UP TODAY! ARE YOU A RIDESHARE DRIVER & WANT TO ADVERTISE FOR US? EARN EXTRA MONEY WITH NO EXTRA WORK! EARN $150 PER MONTH BY SIMPLY ADVERTISING! SIMPLY SIGN UP, GET APPROVED, inSTALL OUR free DEVICE AND START EARNING! JOIN VIUER TODAY - simple process! 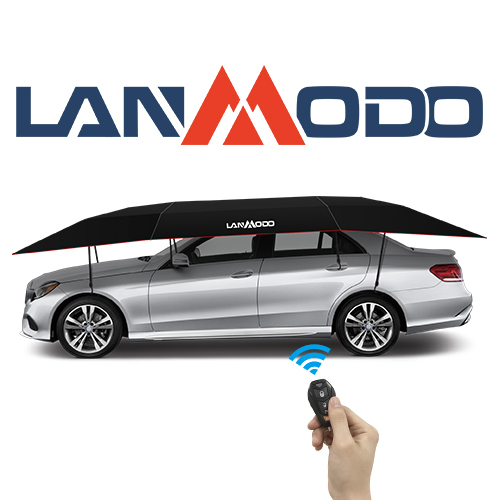 The new automatic car tent only from Lanmodo! Get yours today and cover your car!